That was almost as bad as their loss to Iowa last year. Ohio State fans defended Meyer to no end when the allegations came out but as soon as they lose a game they are turning on him in droves. Such a toxic fanbase. This couldn't have happened to anyone better. I keep forgetting how toxic LSU fans are once they become relevant. 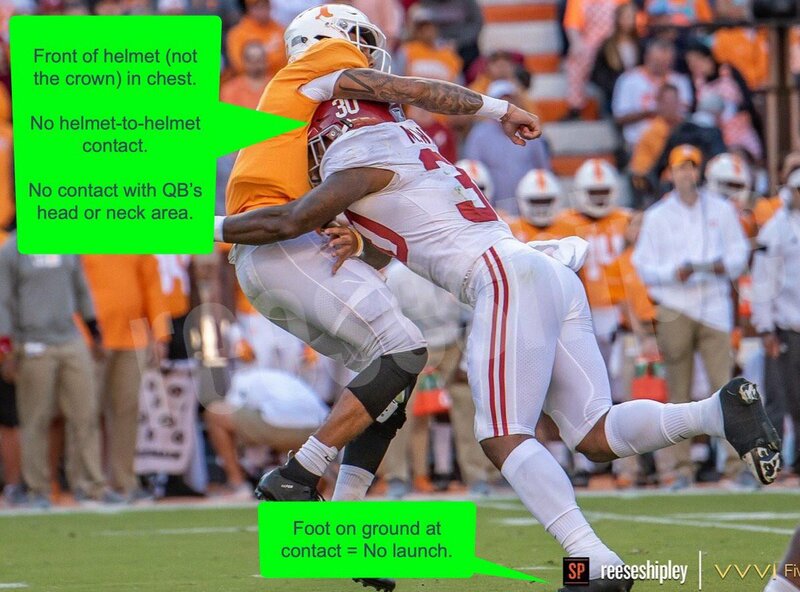 I've seen everything ranging from them saying the SEC is conspiring against them with the targeting call to them openly requesting for players to take out Tua's knee. I hope the team sees this to be motivated to hang 60 on them. In a bit of a surprise, Damien Harris was limited vs Tennessee due to internal disciplinary reasons. He and Tua are the two people I'd least expect to hear getting in trouble with Saban. It was minor since he still got to play, but that's a surprise from him. Allegedly he got into a bit of a mess at the bars after Mizzou but I don't know how true that is or isn't. Damien Harris tends to the frequent the bars regularly. Not that it is unusual, but you open yourself up to trouble the more you go. Jalen Hurts is reported to have hurt his ankle on his TD run last Saturday against Tenn. He had some kind of procedure performed in the hospital. He will be held out of practice this week and his status for LSU is unknown. This whole Devin White fiasco is not a good look for LSU, their degenerate fans, or the state as a whole. I'm glad the governor took time out of his busy schedule, fixing all of the problems of Louisiana, to opine on the rules of a game he doesn't seem to have a good grasp of. I actually personally went and reviewed the film myself. It was a good call by the officials. They're upset over a correct officiating call. He was textbook targeting by definition and anyone who says otherwise is just ignorant of the rule. Nick Saban and Alabama have broken LSU's program and their fans. It's almost like Alabama lives under the beds of all their fans and comes out at night to terrorize them like the boogyman. Nothing epitomizes the dominance Saban and company have had over LSU than this whole conspiracy Alabama somehow controls the SEC office. They're broken. They're grasping for straws. The victim mentality will be why they will never make it better than 3rd in the SEC West. They're already crafting the narrative when they get reamed by Alabama. It will be the refs fault. State and Florida both ran for >200 yards. Remind my again how important Devin White is? I'll go with the actual referee....it was a bad call. Pretty sure he's not ignorant of the rule. Devin White launched into Nick Fitzgerald's chest/shoulder area using his forearm. I think that is the logic the refs used. There was no targeting. It was a terrible call and a terrible rule the way it is constructed. I'm not even sure I agree with Cutaia when he says it is roughing the passer. You know what else wasn't targeting? This. At least the refs got this one correct. By letter of the rule, this is targeting per Article 4. There's no ifs, ands, or buts about it. Do I think the rule needs some work? Yes. For starters, I think lowering of the head by offensive players should be called too, if the rule is about "safety." I knew I had seen a similar ejection to White's previously, but finally found it on Youtube tonight. I had a dream last night we lost to LSU because we got conservative with our playcalling in the second half despite Tua carving them up like a Jack-o-Lantern in the first half, LSU came back from down 17 and forced overtime, got the ball first and kicked a field goal, and we inexplicably opted to try to kick one to force a 2nd OT on 4th and maybe an inch from the 10 and Tua was begging Saban to let him go for it but he said no and we shanked the field goal and lost. The saddest part is I could 100% see this being the series of events playing out if we do wind up getting upset. SEC East decided next week between Kentucky/Georgia. SEC West could be decided if Alabama wins (not officially, but do you see Bama dropping MSU and Auburn)? There's a snowball's chance in hell of UK beating Georgia but I'm hopeful. I'd much rather play a team that has two good players instead of Georgia who is full of 4 and 5 star recruits and is going to be coming in with the same mental mindset we went in with against Florida in 2009. With how this year is shaping up I don't think we can afford a loss and still get into the top 4. I could be wrong, but there's a lot of elite teams this year.. moreso than most years it feels like. Next week may be one of the biggest weeks in SEC history. Two divisional titles on the line, a top 4 if not top 3 matchup between Alabama and LSU, and a likely top 10 match between Kentucky and Georgia. We have a lot of good teams playing fundamental football but I don't know about elite. Right now, Clemson winning the ACC and winner of the SEC seem like locks. ND drops one, they're out (watch out for Northwestern they're playing good ball as of late). Pac 12 is out. Big 10...maybe Michigan..no way in hell OSU gets in even if they win? Big 12 still needs some sorting out. The last 2 spots in the playoff are fully up for grabs...in my opinion.